The Australian Melon Association (AMA) is the peak representative body for over 400 watermelon, rockmelon and honeydew producers in Australia. In 2015–16, melon production was valued at $176 million (LVP). Fresh seedless watermelons, rockmelon, honeydew and Piel de Sapo melons are the major products and are produced all year round. The main form of value-adding is cut and wrapped fruit, fruit salad products and juices. The Australian melon industry consists of approximately 250 growers producing around 231,000 tonnes of melons annually, with the majority of production occurring in Queensland, NT, WA and NSW. Melons are grown for domestic consumption as well as international export ($32 million) to New Zealand, United Arab Emirates, Malaysia, Hong Kong and Singapore. The Australian melon industry commenced research and development and biosecurity levies in January 2016. The R&D levy is managed through Hort Innovation and the biosecurity levy through PHA. The melon industry is working with growers on biosecurity measures to address seed-borne diseases, on-farm biosecurity and surveillance. A biosecurity project that will improve preparedness for, and management of, biosecurity risks in the melon industry at the farm gate and industry level commenced in late 2017. In general, rockmelon and honeydew plants are andromonoecious, meaning individual plants bear both staminate (male flowers) and hermaphrodite (having both male and female reproductive organs) flowers. 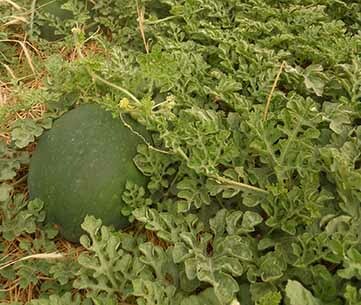 Several studies have shown that isolation of rockmelon and honeydew plants from pollinating insect’s results in little to no pollination of flowers, which results in little or no crop at all. 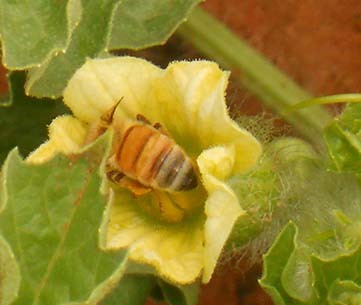 Rockmelon and honeydew flowers can be considered self-fertile but not self-fertilising; therefore pollen must be transferred from the anthers to the stigma by insects. Honey bees are considered the most effective pollinating insect for melon crops. Cross-pollination has also been shown to produce slightly heavier fruit. At least one viable pollen grain must be deposited on the stigma and fertilise an ovule if a seed is to be formed, thus if insufficient pollination occurs those melons with small numbers of seeds may be culled from the crop. The effective period in which pollen can be deposited on the stigma is no more than a few hours in the morning, and if the temperature is high, the period may only be a few minutes. After this period, the flowers will close and will not open again. Watermelon is self-fertile with the female flower being pollinated equally well by pollen from a male flower on the same or a different plant. 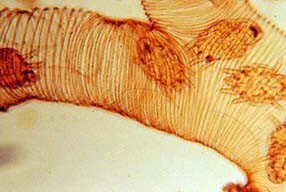 The pollen grains are sticky and insects are required to transfer pollen to receptive stigmas. Fruit abortion in flowers bagged to exclude insects is 100 per cent and each stigma needs 1,000 pollen grains spread evenly over the three lobes in order to form a large, well-shaped fruit. Fruit will be misshapen and devalued if even one stigma lobe receives an insufficient amount of pollen. 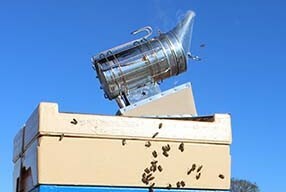 The benefits of honey bee pollination to rockmelon and honeydew production have been firmly established. 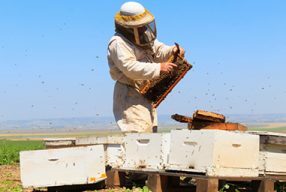 Growers in the Waroona areas of Western Australian have reported that using honey bees as pollinators increased production of rockmelon by up to 40 per cent, from 600 to 1,000 cartons per acre annually. Further studies found that pollination of rockmelon using honey bees improved percentage fruit set and fruit weight significantly. It has been shown that honey bees are also the most abundant pollinators of watermelon with lack of pollination linked to poor yields and thus low incomes for growers. 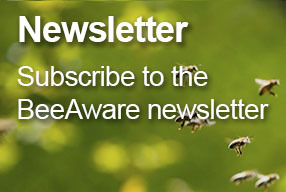 Recent studies have further demonstrated the benefit, with crops pollinated with honey bees producing significantly higher numbers of mature fruits and seed yields, as compared with caged plants which failed to produce any fruits at all. 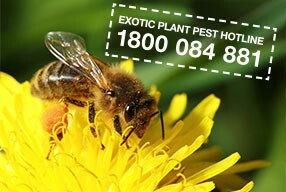 Recommendations for number of hives per hectare for watermelon, rockmelon and honeydew vary from 2 to 5 hives per ha.